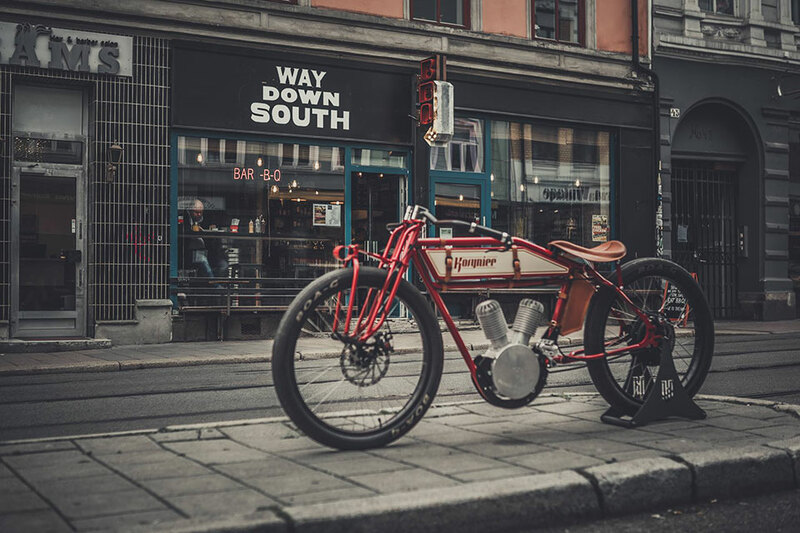 Kosynier makes electric bikes that look like vintage boardtrack motorcycles. 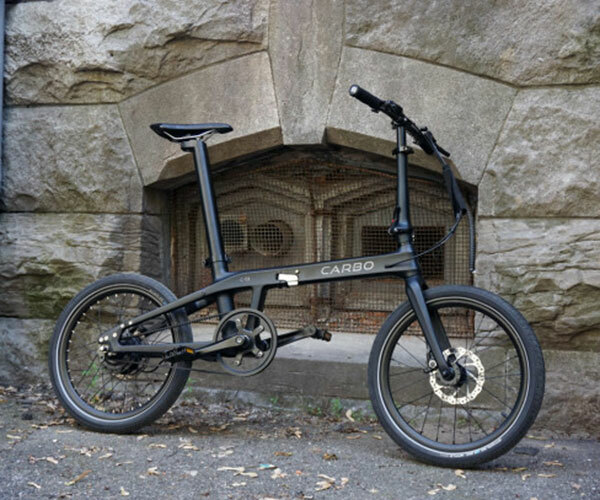 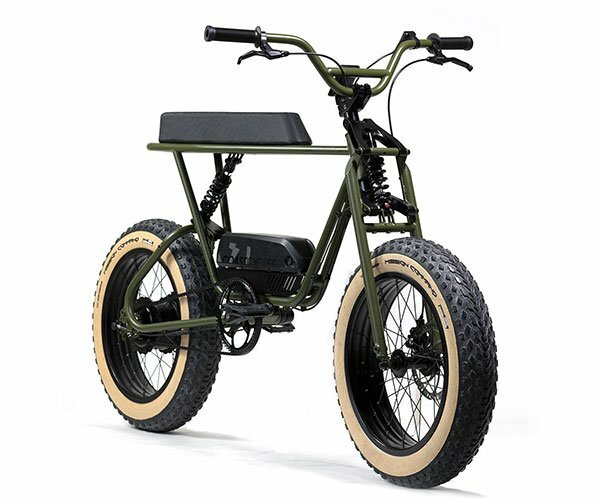 Nearly everything about the bike is custom, including the frame, the “tank” that holds the batteries, and the front suspension. 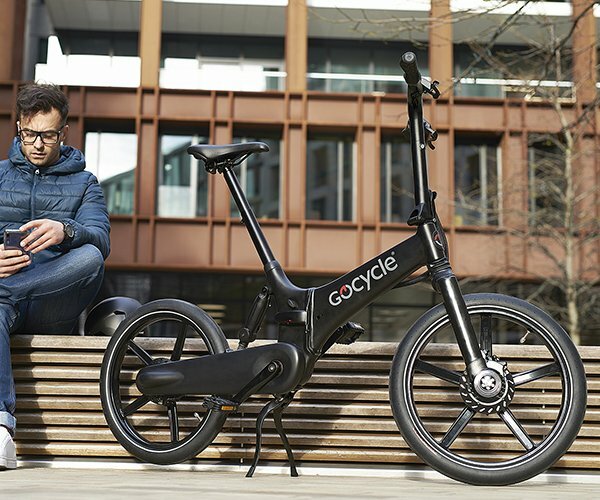 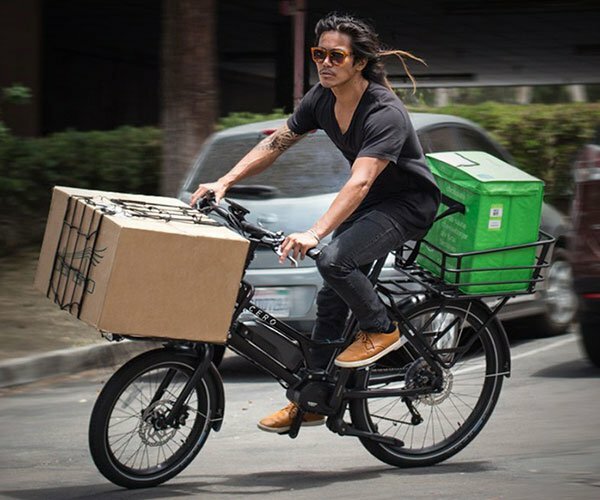 It goes up to 31 mph and can be equipped with a 5000W motor.